Click the button below to add the Iron Mirror '025' to your wish list. Hand forged mirror 025 is made in natural, rusted and black iron. It has round shape available in made to order dimensions. The product page specifies outside measurements. The price is for the iron mirror frames only. Even though we ship them with glass installed, it is complimentary. 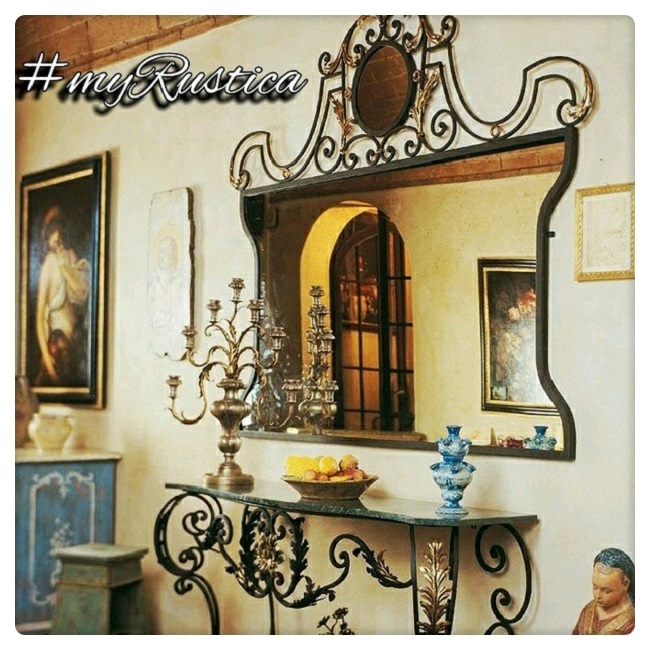 Rustica House doesn't offer any insurance for the glass, iron frame only We do our best to pack round iron mirror products carefully.